Modular Frac Tank | Containment For Fracking Fluid | ModuTank Inc. Hydraulic fracturing of wells, more commonly known as fracking, has been in use since the 1940’s. More than 2,000,000 wells have been fracked worldwide. The National Petroleum Council reports that hydraulic fracking is presently employed in 95% of the wells drilled today. Fracking, the last step used to maximize well production, is applied after the well has been drilled, reinforced and proven safe in operation. In general, hydraulic fracturing is accomplished by pumping fracking fluid from the holding tank and down the well bore at high pressure. It typically happens thousands of feet below the surface, well below freshwater aquafers. Water is the primary ingredient in fracking fluid and may be obtained from surface water, ground water, municipal sources, recycled water and other grey water sources. Other chemicals, commonly found in consumer products, are subsequently added to make fracking fluid that meets the particular mineralogical conditions of each well. Modutank Inc. offers a variety of frac tank & containment designs for holding fracking and recovered fluids. Our modular frac tanks can be configured in any capacity and rectangular shape to fit your site. A typical 1,000,000 gallon tank ships on a single flat bed for rapid bolt–together assembly on any flat site. Our frac tank rentals are substantially less costly than those for comparable multiple 21,000 gallon tanks. Our customizable tanks can be shaped to fit your site and capacity needs. Convenient low tank height eliminates the need for ladders and platforms. 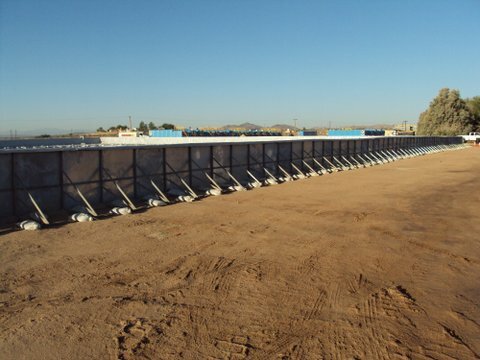 Modutank Inc. tanks utilize prefabricated modular components designed for compact shipment and hand-carrying for free-standing or anchor bolted installation anywhere. Heavy handling equipment is almost never needed. Rapid bolt-together assembly into square and rectangular shapes is accomplished with common hand tools by unskilled workers following illustrated step-by-step manuals. Furthermore, the tanks are easily disassembled for storage or relocation, and can also be reconfigured into other shapes, sizes and capacities. 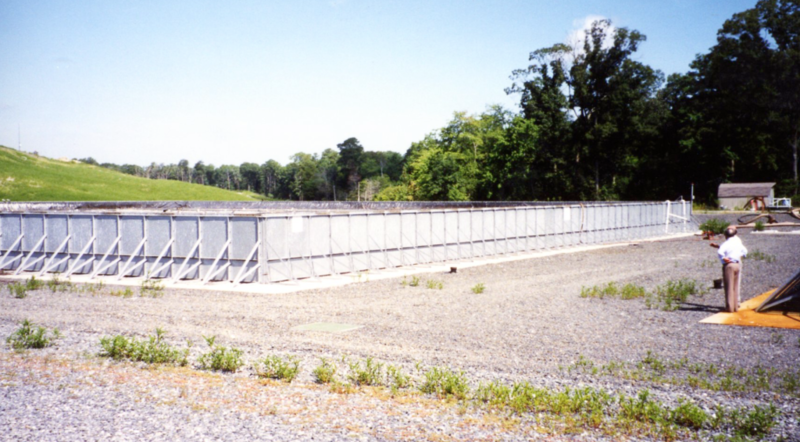 Our field erected tanks are constructed from heavy-duty mill galvanized steel sheets and hot-dip galvanized steel support structures for long, trouble-free life. A prefabricated fitted liner is included. 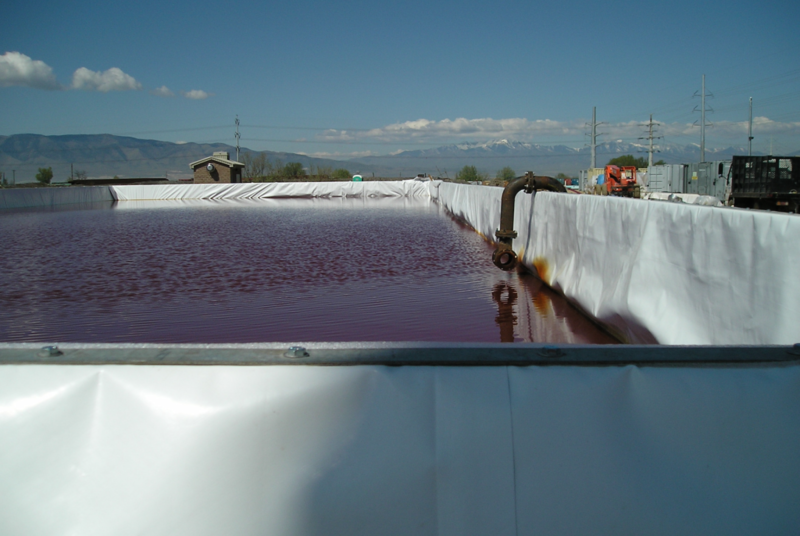 Multiple liners can be specified for secondary containment. Covers, baffles, fittings, leak detection and many other ancillaries are available.